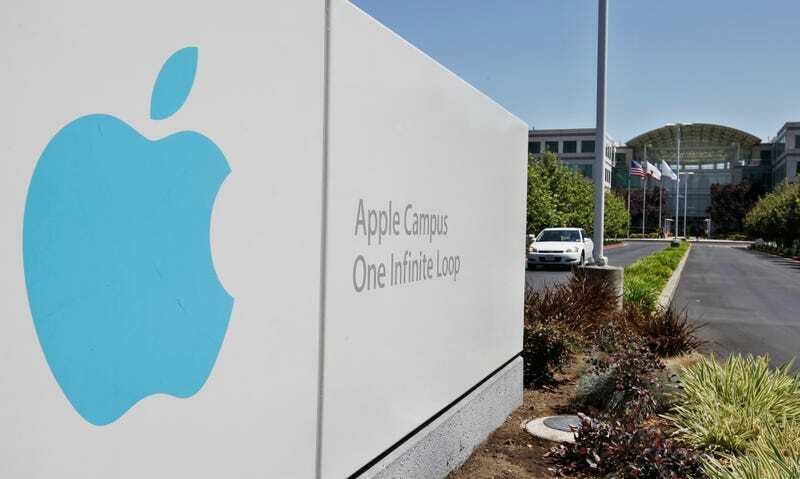 The Santa Clara County Sheriff’s Office is investigating a body discovered in a conference room at Apple’s Cupertino headquarters, according to several reports. NBC Bay Area reports that several law enforcement vehicles were summoned to Apple’s campus this morning. KTVU reporter Maureen Naylor first tweeted that a body had been found and that report was corroborated by tweets from people at the scene. A spokesperson at the Santa Clara County Sheriff’s Office did not confirm the death to Gizmodo. We’ve also reached out to Apple and will update this post if we hear back. ...at Apple campus Infinite Loop, for a 1056 attempt… female employee bleeding with a head wound to the head… possibly has a gun. Her... looks like security was escorting the employee down and the Westside units are just now arriving... I do have further... they are advising that there’s a body in one of the conference rooms with a gun so we’re not really sure if there’s multiple people involved. Depending on the police department, a 10-56 is the code for a suicide. Update, 2:02 p.m. EDT: According to the Mercury News, the Santa Clara County Fire Department got an emergency call this morning for a “Hispanic male with a head wound” and that the person who was found unresponsive was pronounced dead at the scene. Apple is not commenting to media outlets about the death. Update, 2:05 p.m. EDT: According to ABC7's Matt Keller, who is on the scene, the person found dead in the conference room was a man, and a gun was found nearby. A spokesperson from the Santa Clara County Medical Examiner-Coroner’s Office said the office had nothing to report. Update, 2:25 p.m. EDT: ABC7 is reporting that authorities have confirmed the body was a man and a gun was found next to the body. Update, 2:39 p.m. EDT: In a press conference on the scene with ABC7, the Santa Clara County Sheriff Office’s spokesperson confirms the man found dead was an Apple employee. Update, 3:03 p.m. EDT: Here’s video from KTVU from the press conference. Sgt. Andrea Urena from the Santa Clara County Sheriff’s Office said that a man who worked for Apple was pronounced dead on the scene this morning. There were no other people involved and no one else is at risk. She could not comment on any other details about what happened. Update, 4:23 p.m. EDT: An anonymous Apple employee told the Mercury News that “most employees do not know who died and that employees have been given the option of taking the rest of the day off.” Apple is also offering grief counseling. The case is now in the hands of the coroner’s office and we will update with more information when we hear it. The name of the employee has not yet been released.